12 May Sipi Falls is Back! One of our favourite coffees of last year has returned to the roastery for Summer 2017. The Sipi Falls Organic Coffee Project was initiated in 1999 high on the slopes of Mount Elgon in Eastern Uganda. The project promotes the cultivation of arabica, trains farmers in best practices and builds top-notch washing stations. Judging by just how good this tastes in the cup (we get amazing juicy notes of mango and passion fruit) it’s managing to put Uganda firmly on the map as a producer of speciality coffee too. 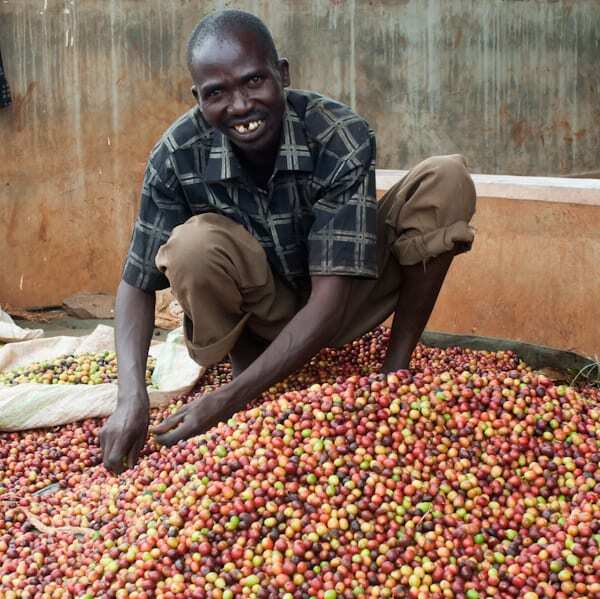 In 2002 the project received its first organic certification and today over 10,000 smallholder farmers are involved, many of whom not only receive higher prices for their coffee but also benefit from other social, environmental and micro-finance programmes. We have a particular soft spot for Sipi as it’s where our roaster Dave lived and worked for many years at the lovely Sipi River Lodge. His dog Yoda, rescued from the streets of Kampala, joins us in the roastery most days where she’ll only leave the sofa for a biscuit or if the sun comes out and it tops 18C!